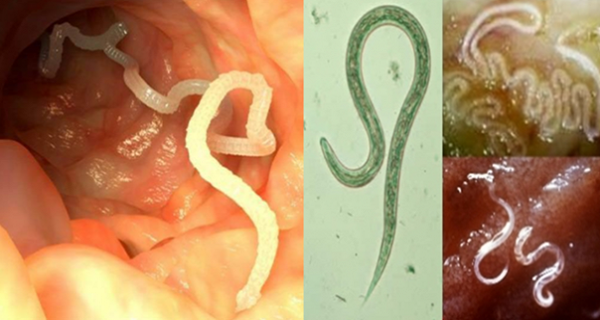 Parasites are nasty, little creatures that may thrive inside your body, and you will not even notice it! These vicious organisms trigger so many health problems that it seems like parasites should be blamed for most diseases in this world. Experts believe that before undergoing a specific therapy, patients should be tested for parasites. The same applies to both bacteria and fungi, and if you take into consideration that large percent of the population suffers from candida, this sure is an issue that should be thoroughly discusses. In this article the word ‘herb’ refers to every natural food, herb or spice that could be used in the treatment of parasites. Garlic is anti-everything, of course, we are talking about viruses, fungi, parasites, and cancer. Even vampires hate it, right? It is an extraordinary aromatic that destroys dangerous microorganisms. Garlic has the power to stimulate the elimination of heavy metals from the body. The mighty herb also repels blood-sucking parasites like ticks, fleas or mosquitoes. Herbalists adore black walnut hulls and the nut itself. These have shown to cleanse blood and intestines. Black walnut hull is an excellent remedy for fungal infections. Juice black walnut hulls and use the liquid remedy to kill off parasites. Use the hulls only. It is a perennial shrub with bright yellow-green flowers. In herbal medicine the leaves and flowers are added in preparations for stomach issues. Wormwood works well in the treatment of intestinal worms. However, it is not recommended for pregnant women or nursing mothers. Its huge antimicrobial potential is often used for infections. Clove essential oil destroys the eggs that worms lay in the intestinal tract. It is considered to be the only agent that could destroy parasite eggs completely. It is even more powerful in combination with black walnuts and wormwood. Cloves have strong antibacterial, antiviral and anti-fungal properties. Its oil has a wide range of antimicrobial properties. It is one of the best herbs you can use to stimulate your thymus gland. Thyme awakens your body’s natural defensive system, and makes a nice combination with echinacea. Thyme oil hinders the growth of nasty parasites, and it destroys intestinal microorganisms. It is packed with strong antioxidants and prevents free radical damage. Oregano oil is commonly used for its anti-parasitic, antiviral, antibacterial and anti-fungal properties. It has the power to reset microbial environment in the intestinal tract. Scientists believe it can be effective against various ailments, ranging from parasitical infections to cancer. It is a traditional Chinese remedy for infections of different background, including bacterial, parasitic, yeat and protozoan types. Berberine in goldthread offers great antimicrobial potential. Food grade diatomaceous earth has the ability to absorb methyl mercury, E. Coli, endotoxins, viruses, organophosphate pesticide residues, and synthetic drug residues. It has shown to destroy intestinal parasites, balance intestinal flora, kill viruses, and absorb toxins. Diatomaceous earth is an excellent intestinal cleanser. But, be careful, when inhaled it irritates lungs, since it comes in the form of fine powder. We hope that this article was of great help. Do a research on our own, and determine what works best for you.